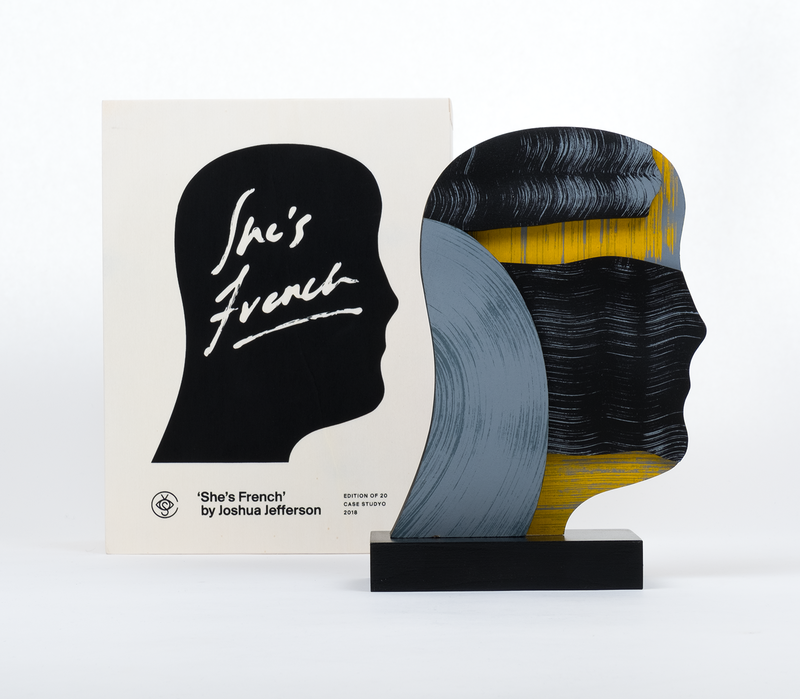 The visual language of Boston based artist , Joshua Jefferson, can be defined as a fearless exploration in which process and experiment prevail. For this edition with Case Studyo, Jefferson returned to subject matter that is frequently features in his body of work: the human head. 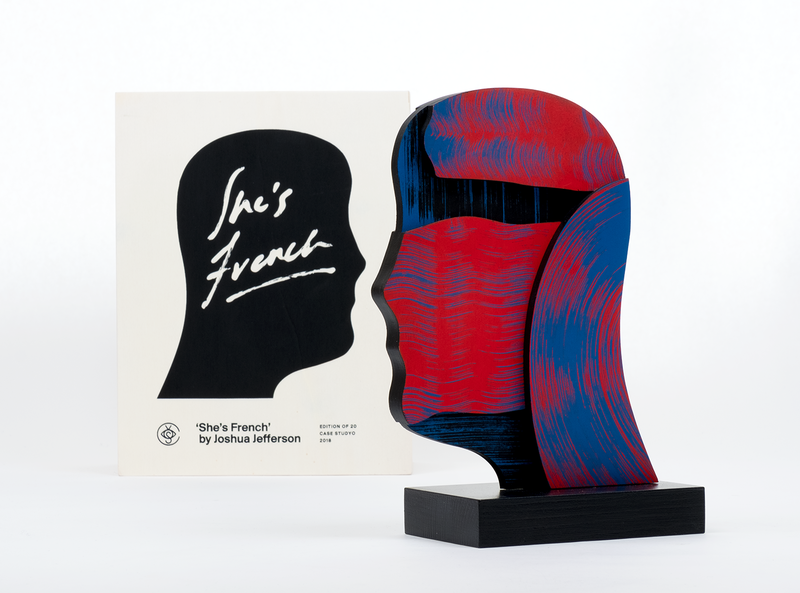 ‘She’s French’ constitutes as an iconic human profile that feels both familiar and alienating at the same time. 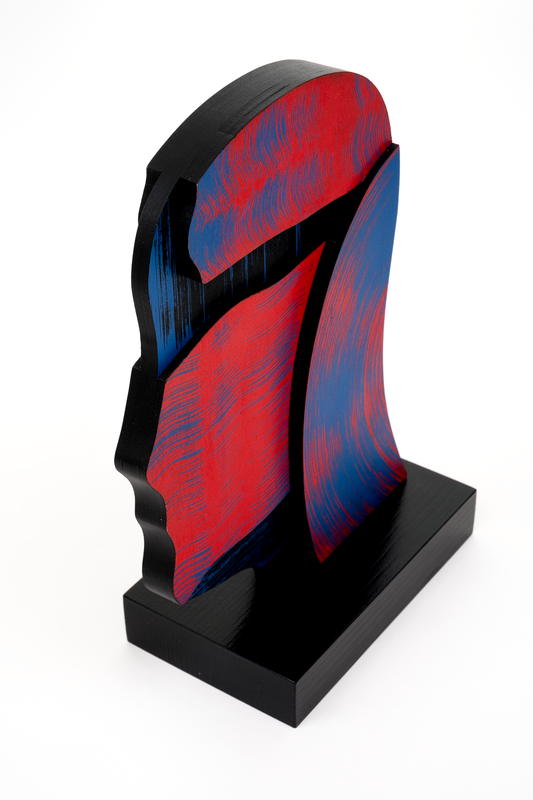 Assembled from multiple layers of colored wood, the edition crosses the boundaries between different forms of art; it is both a painting and a collage in the form of a sculptural work. 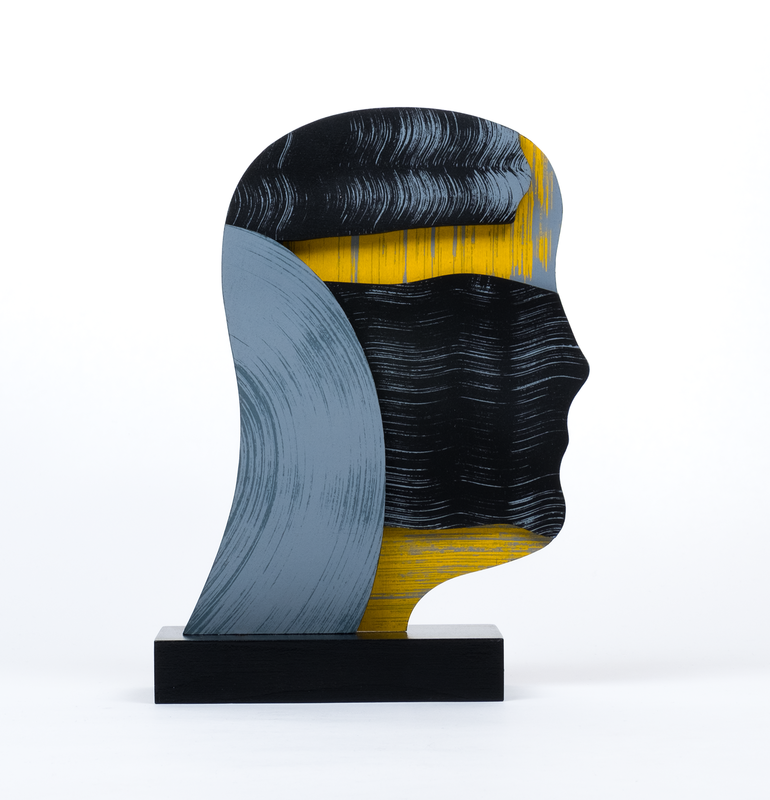 The deconstructed features of the head are filled with Jefferson’s signature brush strokes that are seemingly effortless and meticulous at the same time. 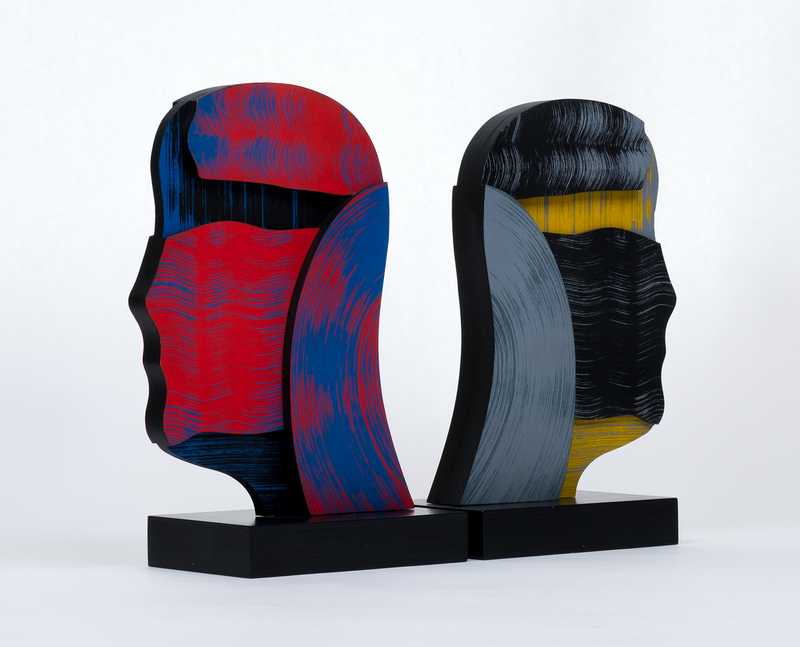 Both sides of the edition feature different color palettes to give each side of the head its own facial expression.